I would love to re-read most of my favourite series, but doesn’t always seem that new books get in the way? This week I attempt to pick only 5 re-reads – will I succeed this time? My previous attempts say no, but perhaps I will surprise everyone this time? I started rereading these recently, but then new books that I got from the library got in the way and I haven’t picked the series back up again. I would love to reread them soon! I feel like I haven’t spent enough time in this world lately and would love to reread this series. 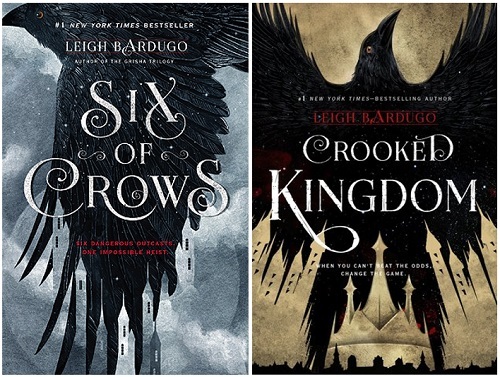 Especially with the Nikolai book coming out, I need all the Bardugo. If I had gotten a chance, I would have loved to have been able to reread this series before diving into Reaper – sadly my hold on the audiobook of Ember was taking forever and I finally just ended up reading Reaper. When book four comes out way down the line, I would like to reread these. I would love to reread this series before Bloodwitch comes out in January! 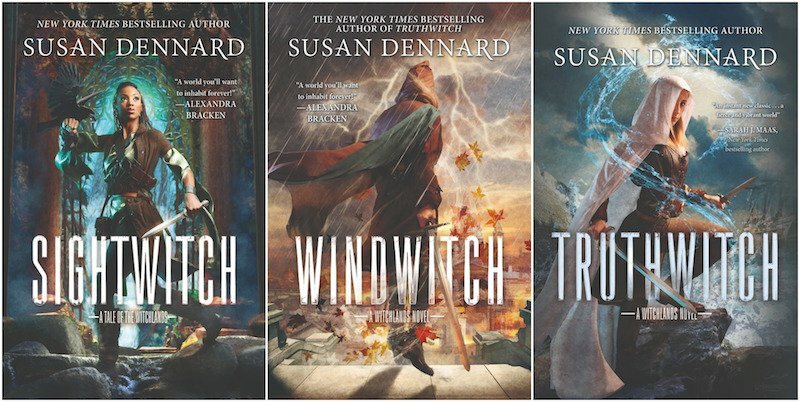 It’s been so long since I read Truthwitch and Windwitch that I need a serious refresher. This would be an incredible undertaking, but I think it would be so great to re-read everything in this vast and expansive series. It probably won’t end up being a Cassie Clare binge, but I suspect I’ll re-read Lady Midnight and Lord of Shadows before Queen of Air and Darkness comes out, then the Infernal Devices before the Last Hours. Did you think I would actually stick to five this week? Even if I did series, rather than solo books. What books would you like to re-read? Let me know in the comments! Ugh yes, I approve of that way to discover Sabaa’s books. She and Leigh both have such amazing things to say about writing. I saw them at Book Con and it was wonderful. They’re great together! I hope I get to see them together again one day.